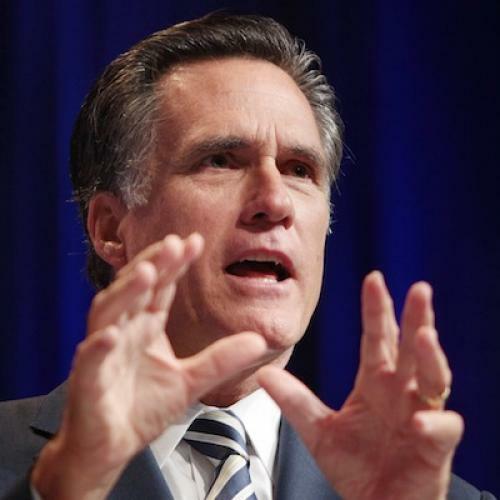 What did Mitt Romney think about the auto bailout? And when did he think it? After reading the transcript of Monday’s Republican debate, and following this controversy for the last few weeks, I’m still not sure how to answer those questions. And that may be because Romney is confronting a familiar problem. He is desperate to disown a sensible position that the Republican voters hate. A few weeks ago, following some good news from Chrysler and General Motors, the Democratic Party produced a video criticizing the major Republican presidential contenders for opposing the auto bailout. The ad featured Romney prominently, highlighting a New York Times op-ed he wrote titled “Let Them Go Bankrupt” and a television interview in which he said basically the same thing. The ad seemed unfair. Remember, the government actually rescued the auto industry twice. The first time was during the waning days of the Bush Administration, when the Bush Administration gave Chrysler and GM a relatively small infusion of funds. Most Republicans were against it, but the Bush Administration argued, plausibly, that bankruptcy might force the companies to shut down entirely -- in no small part because, given the banking crisis, they couldn’t obtain the financing necessary to operate while reorganizing in bankruptcy. The second rescue took place during the early months of the Obama Administration, when the president and his team devised a plan for the companies’ long-term survival. Under that plan, the government would manage the bankruptcy of the two companies, providing the necessary financing and negotiating a final agreement among creditors, including the unions. Most Republicans opposed this measure, too. As I noted when this controversy first started, most of Romney’s statements about the bailout, including that infamous Times op-ed, are from the first episode. And the headline on the article was a bit misleading. Romney didn’t want Washington to make an unconditional loan to the companies. But he also didn’t want to turn them down altogether. In the op-ed, Romney proposed that the companies go through a “managed bankruptcy,” with the government guaranteeing financing for bankruptcy so that the companies could reorganize. Romney didn’t offer many details, which is to be expected for a 700-word op-ed. But, broadly speaking, his proposal didn’t seem that much different from the strategy Obama ended up pursuing. Heck, Romney even proposed government investment in alternative energy as part of the deal. I want to protect and grow jobs in the auto industry. And so, as the government prepares to put in billions of dollars to that industry, let's make sure that, as part of this effort, that we invest in companies that are newly streamlined, more economic, more efficient, and that we've really created a bright future for the American automobile sector. The problem for Romney is that, successful or not, the auto industry rescue is still a “bailout” -- and, worse still, an “Obama bailout.” And that will drive Republican voters nuts. Those CNN comments, for example, earned him immediate grief from the conservative site "Hot Air." Since that time, Romney has been doing more or less what he’s been doing with his sponsorship of health care reform in Massachusetts: Trying to draw sharp distinctions between his position and that of the president’s. It’s probably true that Romney, as president, would have managed the bankruptcy a little differently than Obama did, giving more preferential treatment to creditors and less preferential treatment to workers. But that's a modest distinction. The bigger decision facing the federal government in early 2009 was not how to manage the auto industry bankruptcy but whether to manage it at all. Most Republicans were against it. Obama was for it. And Romney was for it, too -- or, at least, he was until that position became a political liability. Now he's saying, sometimes, that he was actually against it. Like I said, I'm still not sure what Romney really thought at the time. Who ever will be? But this much I do know: The political difficulty of the auto bailout wasn't getting tough with Detroit. It was putting up taxpayer dollars, without which a normal bankruptcy restructuring would likely have been impossible. If Romney wants to disown that part of the package, then he has to disown the whole thing. Romney can tell Republican voters what they want to hear or he can take credit for the bailout's economic benefits. He can't do both -- although, as we're seeing, he's trying.